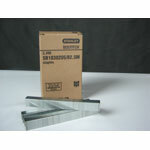 A foot stapler (also called a bottom stapler) is a very effective packaging solution for closing the bottom of boxes. 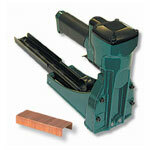 This type of box stapler uses a wide crown staple to create a secure closure for the bottom flaps of the box. Foot stapler operators can build boxes more rapidly than any other non-automated method making this choice of closure cost effective. 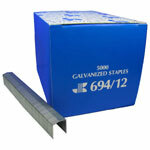 One other advantage of using a foot stapler is that very heavy product may be placed in the box. 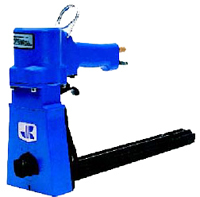 Pneumatic operated versions of this type of carton stapler increase operator productivity and improve machine wear over the manual type. 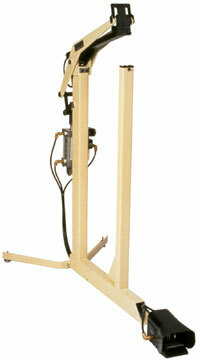 With servicing a foot stapler can last over 20 years. 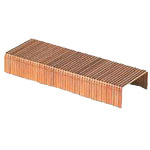 Boatman Marking handles the major brands of this type of packaging equipment including Carton Closing Company (CCC), Josef Kihlberg and Stanley Bostitch. 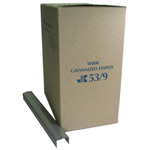 A manual carton stapler is used for closing the tops of boxes. 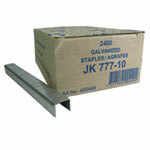 Box staplers provide the strongest most reliable way to close a box and keep it closed while in transit. 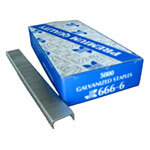 Carton staplers also lend themselves to the efficient closure of heavy products. 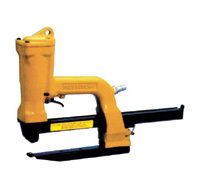 Since this category of carton stapler can be used without electricity or compressed air it is commonly used to close boxes in agricultural fields. At Boatman Marking we carry a full line of major branded carton staplers including CCC (Carton Closing Company), Josef Kihlberg and Stanley Bostitch. 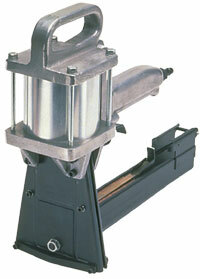 An pneumatic carton stapler (also called an air stapler) is used for closing the tops of corrugated boxes. 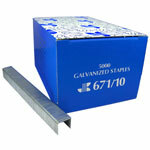 Carton staplers provide the strongest most reliable way to close a box and keep it closed while in transit. Operators of air packaging staplers will have increased productivity and higher production volumes when compared to those using manual versions. 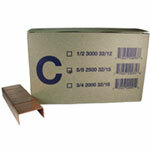 Carton stapling is one of the fastest methods for closing a box and it remains an important packaging solution. 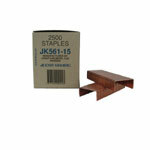 Boatman Marking handles this type of packaging stapler along with the major brands of pneumatic carton staplers including CCC (Carton Closing Company), Josef Kihlberg and Stanley Bostitch. 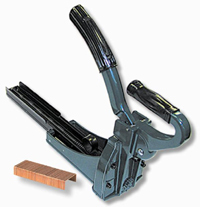 Carton Staplers - Pneumatic Carton Stapler, CCC, Giant Staple - 1"
Carton Staplers - Pneumatic Carton Stapler, Kihlberg 561, C-staple, 5/8"
A pneumatic plier stapler is used to assemble corrugated trays and lids. Fast and nimble these plier staplers allow for stapling in confined spaces. They can be bench mounted and sequenced to trigger multiple staplers with a foot pedal switch for increased productivity. 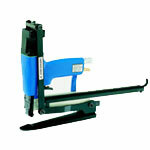 Lighter versions of pneumatic plier staplers are ideal for closing bags or mailers. 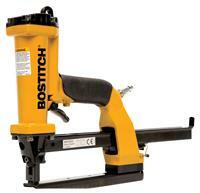 The most relevant brands for this type of air stapler are Josef Kihlberg and Stanley Bostitch. 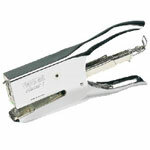 A manual plier stapler is often used to seal plastic bags and mailers. 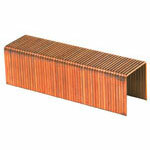 They are commonly found in shipping rooms because of their general utility. 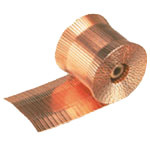 The staple used is a thicker wire than that found in an office stapler. Manual plier staplers are for low volume useage. For higher outputs we recommend upgrading to a pneumatic stapling plier as the hand motion of the tool can be tiring for the user. 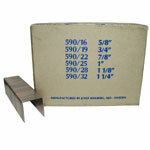 The Stanley-Bostitch and Rapid brands are the most preferred. 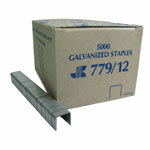 A roll carton stapler is a very efficient method to close the tops of corrugated boxes. 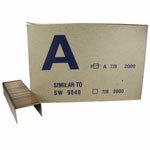 Faster than an ordinary air carton stapler, there are 1000 staples per roll which means fewer loading changes for the operator. 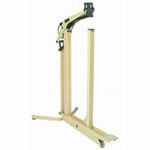 Roll staplers are ergonomically designed for easier operation. 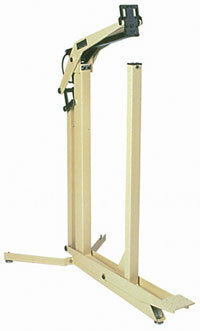 This combination of speed and ease of use allow for very high productivity rates. 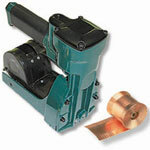 The roll stapler is our most popular category of pneumatic carton stapler. At Boatman Marking we carry a full line of major branded carton staplers including CCC (Carton Closing Company), Josef Kihlberg and Stanley Bostitch.